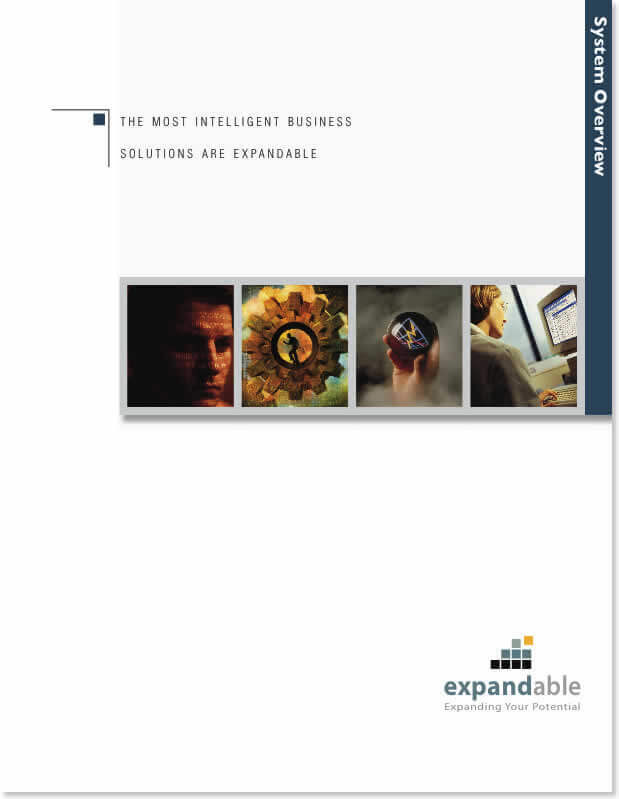 Expandable Software, Inc. develops, markets, implements and supports an enterprise resources planning (ERP) software suite designed to help executives and managers of fast-growing manufacturing companies maximize business performance by maintaining real-time visibility and control of their organization. They asked HiveMind to redo their branding, which had grown stale over time and did not reflect the new values of the company. Expandable targets its scalable front and back office enterprise solutions to growing manufacturing companies requiring a seamless and cost-effective growth path from startup to the billion dollar mark. Starting with their corporate identity and logo, we developed a modern color palette and created a mark that built on the name of the company and the modularity of the product line. We extended the corporate identity across all sales materials, including brochures, flyers, documentation covers, and user conference promotions. 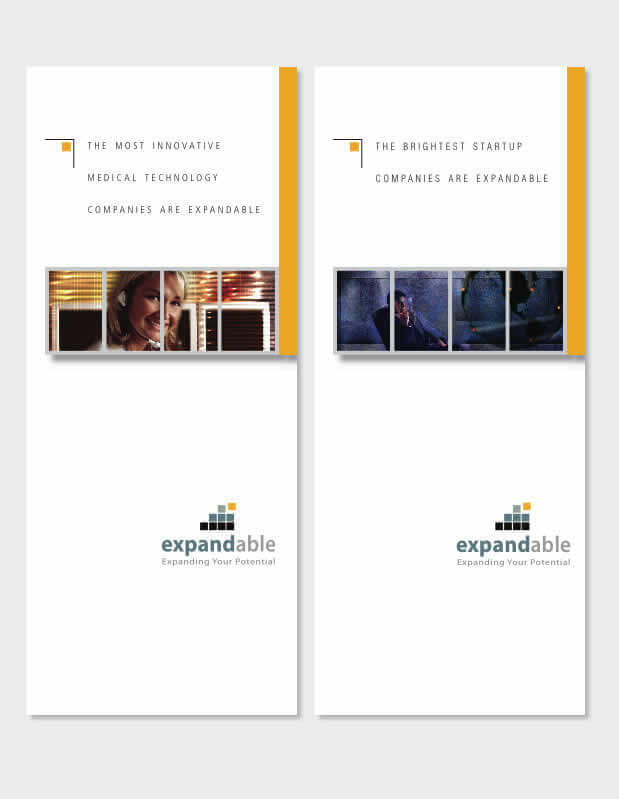 By addressing all old forms of their brand identity, Expandable achieved a new look that supported and re-invigorated their growth plans. The company enthusiastically adopted it for everything from sales presentations to packaging to t-shirts and trade show graphics. The Branding Guidelines we prepared helped the company stay consistent as new promotional materials were developed.